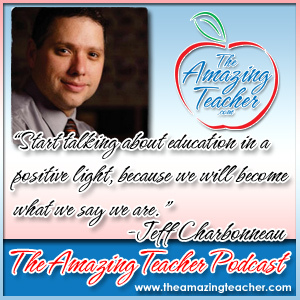 This week my guest is 2013 National Teacher of the Year – Jeff Charbonneau. 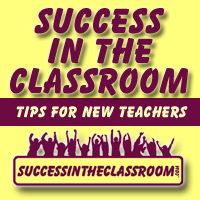 What a great way to prepare the students for what’s going to happen in the classroom. I had such an awesome time talking with Jeff about education and being amazing in the classroom. Jeff encourages us to use our influence as teachers to change the perception of education through sharing positive comments and telling people about the good that is happening in our classrooms. Jeff emphasizes the importance of building positive relationships with students. He shares that building relationships is even more important than the content that we cover as teachers. One of Jeff’s most amazing pieces of advice has to do with apologies and asking students for help. He feels that he can think of no better recipe for success. I know you will find great value from what Jeff has to share in this episode. Thank you for continuing to spread the word about the podcast.